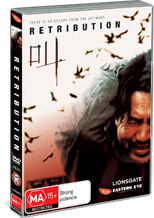 From the mind of director Kiyoshi Kurosawa comes a brilliant parapyschological thriller starring Koji Yoshioka as Detective Yoshioka who is called to the most unusual homicide that he has ever experienced. A mysterious woman in red is found drowned in a pool of shallow water, however as Yoshioka continues to investigate the crime, the evidence of the crime starts to point to none other than the detective himself. Kurosawa does an amazing job at creating this tale with stunning visuals with an almost surreal story as our hero goes down a dark path with enough twists and turns to give just about all viewers a good old fashioned scare. The title also contains a great alterative ending which is why Eastern Eye DVD's are a cut above the rest.